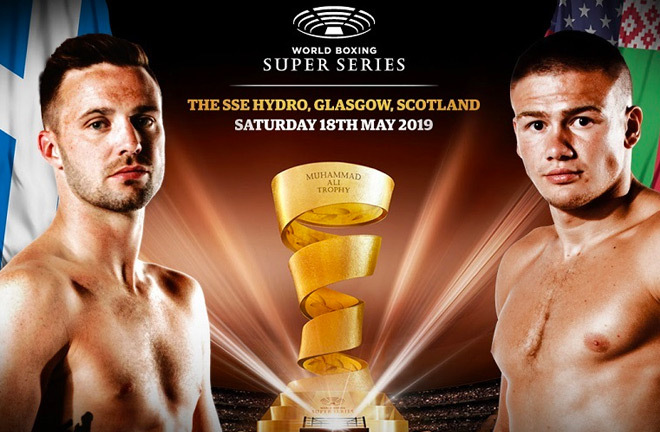 Scotland’s Josh ‘The Tartan Tornado’ Taylor and Belarus’ IBF Champion Ivan ‘The Beast’ Baranchyk continue their quest for the Ali Trophy in the 140 lb division on 18 May at The SSE Hydro in Glasgow, Scotland. When Baranchyk advanced on October 27 and took home the vacant IBF title, he showed his devastating power against Sweden’s Anthony Yigit and forced the ring doctor’s stoppage in the seventh round in New Orleans, USA. The Belarusian’s message about going all the way and win the tournament is clear. On November 3rd Taylor impressed when he completely outmanoeuvred and eventually stopped USA’s Ryan Martin in round seven at The Hydro in Scotland’s capital. Now Taylor is not only fighting for a place in the final, he is also taking his first shot at World title glory. Tickets for the hotly-anticipated semi-final will soon go on sale. Fans are encouraged to sign-up for Ticket Alerts to receive an email reminder when tickets can be purchased. All dates and venues for the sensational Season 2 semi-finals will be announced shortly.